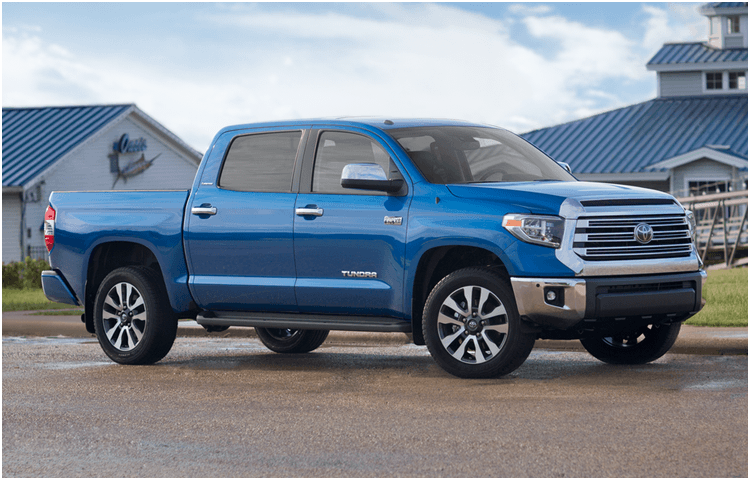 The newly revised 2018 Toyota Tundra is back, upgraded, and ready for you at Titus-Will Toyota. This half-ton truck is available with 20-inch alloy wheels, bilstein shocks, a new TRD sport trim, and a slew of new safety features. The 2018 Toyota Tundra has the perfect combination of features for any driver and any purpose, as it has 5 different trims, 3 cab styles, 2 bed lengths, and 3 available engines to choose from. 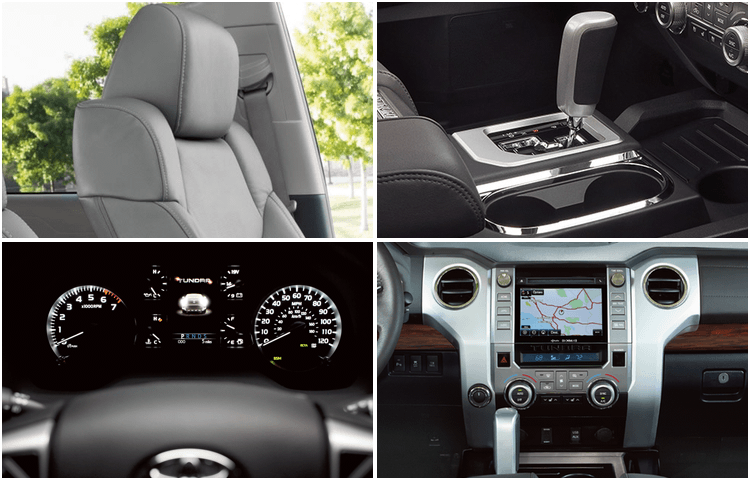 In addition, there are a handful of both interior and exterior available features to customize your 2018 Toyota Tundra. The base trim easily fits up to 6 passengers and has up to 65.6 inches of shoulder room to ensure you get where you're going comfortably. Overall, this powerful full-sized truck is a fun drive. We would love for you to come over to Titus-Will Toyota and take the 2018 Toyota Tundra for a spin—it will speak for itself! 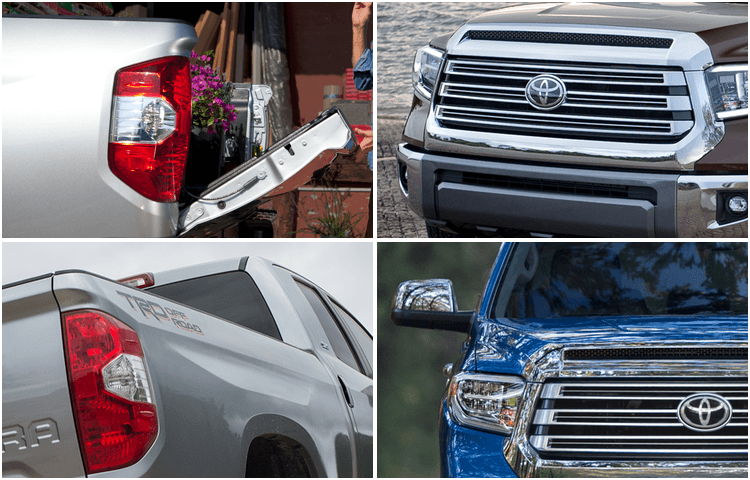 With the 2018 Toyota Tundra's 5 trims, 3 cabs, 2 beds, 2 engines, and 4 different packages, we are sure to find the right combination for you! The newly upgraded base SR trim is now equipped with standard features, such as: a honeycomb grille, LED daytime running lights, and Toyota Safety Sense™, and your choice of two powerful V8 engines. The SR5 is the most versatile trim with the option of either a double cab or a crewmax cab and 3 bed options. In addition to the SR's features, the SR5 comes with some added luxury and many more available features to personalize your vehicle, such as: the available 38-gallon fuel tank, towing package, front/rear parking assist sonar, and much more. Many of these available features come standard on the 2018 Toyota Tundra Limited. In addition, the Limited has larger 20-in. split 5-spoke wheels, leather-trimmed heated front bucket seats, and an available moonroof for those looking for a more extravagant driving experience. 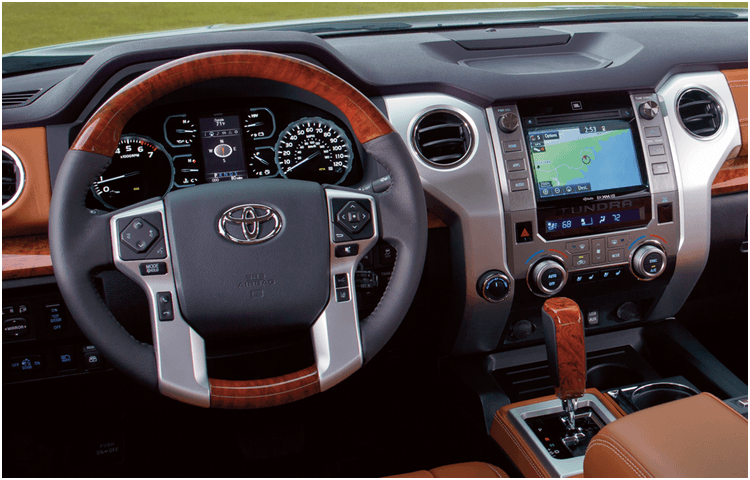 While front and rear parking assist sonar, blind spot monitor, and rear cross-traffic alert are available on the Limited, they are standard on the 2018 Tundra Platinum. The small jump in price is worth all the extra peace of mind you get with these advanced safety tools. The 1794 Edition is no exception. With the standard integrated backup camera and nearly all the features mentioned in the previous trims, both the 2018 Toyota Tundra 1794 Edition and Platinum are the most powerful, luxurious, and safest Tundra trims money can buy. Both start at around same price too. Safety on the road comes down to the driver. Where we can't drive for you, we can provide you with some top notch, tech savvy products to help you drive at your best! Toyota safety sense, star safety system, and an integrated backup camera are a few of the standard safety features to help you maneuver the full-sized 2018 Toyota Tundra truck with ease. Higher trims come equipped with front and rear parking assist sonar, blind spot monitor, and rear cross-traffic alert. All of these features are designed to protect you, and those around you; however, in the event of an accident the 2018 Toyota Tundra will deploy up to 8 air bags, including a driver front outboard passenger airbag, unique to the 2018 Toyota Tundra. This vehicle is designed to tow and haul up to 10,000 pounds, and that is exactly why people buy this truck—it gets the job done! The standard 4.6-liter aluminum i-FORCE V8 engine gets up to 310 horsepower. It is more than capable to tow boats, trailers, or whatever need be. However the 5.7-liter aluminum i-FORCE V8, standard on the 2018 Toyota Tundra Limited and above, is the most powerful option. It provides 381 horsepower and 401 lb.-ft. of torque at 3600 rpm, perfect for just about any driving situation. All of the 2018 Tundra vehicles are equipped with 6-speed electronically controlled automatic transmissions and come with the option of 4-wheel or rear-wheel drive to help you maintain the best combination of traction, power, and control. * MSRP excludes the Delivery, Processing, and Handling Fee of $885 for Cars (Yaris, Yaris iA, 86, Corolla, Corolla iM, Camry, Camry HV, Prius LB, Prius, Prius Prime, Mirai, Tundra, Tundra HV), $960 for Small/Medium Trucks, SUVs and Van (C-HR, RAV4, RAV4 HV, Highlander, Highlander HV, 4Runner, Sienna, Tacoma), $1,195 for Large SUVs (Tundra, Land Cruiser), and $1,195 for Large Truck (Tundra). (Historically, vehicle manufacturers and distributors have charged a separate fee for processing, handling and delivering vehicles to dealerships. Toyota's charge for these services is called the "Delivery, Processing and Handling Fee" and is based on the value of the processing, handling and delivery services Toyota provides as well as Toyota's overall pricing structure. Toyota may make a profit on the Delivery, Processing and Handling Fee.) Excludes taxes, license, title and available or regionally required equipment. The Delivery, Processing and Handling Fee in AL, AR, FL, GA, LA, MS, NC, OK, SC and TX will be higher. Actual dealer price will vary.